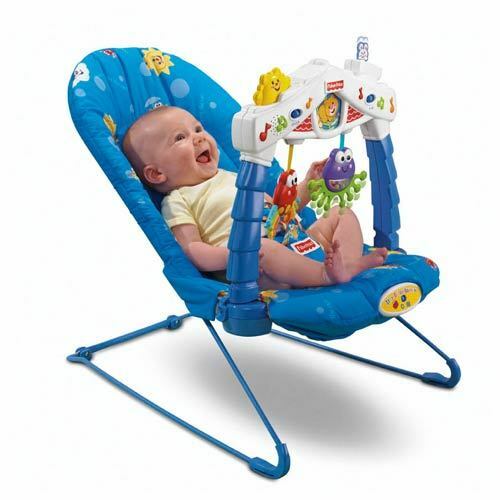 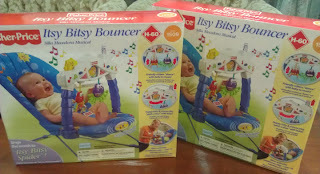 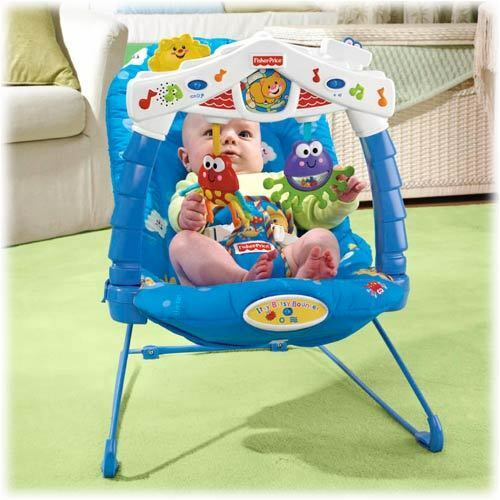 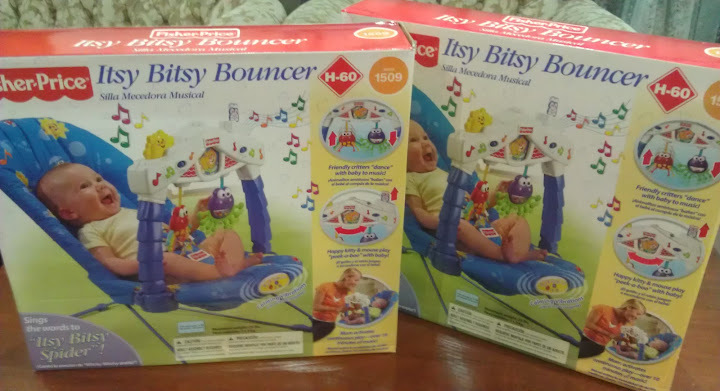 The Itsy Bitsy Bouncer features a toy bar that is themed to fit the famous nursery rhyme. The housing features an overhead scene based on a rooftop with rain spouts on either side. 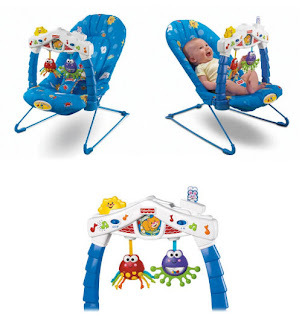 Two spiders with dangling legs hang from the rooftop and 'climb' up and down creating fun visual action for baby. 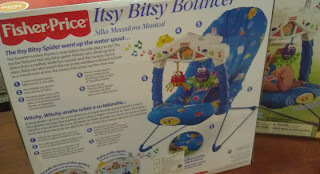 In a window, a cat in a rocking chair also rocks back and forth for baby to watch and a mouse friend 'runs' across the scene, disappears, and pops up the chimney. Toy bar removes easily for mom to get baby in and out. 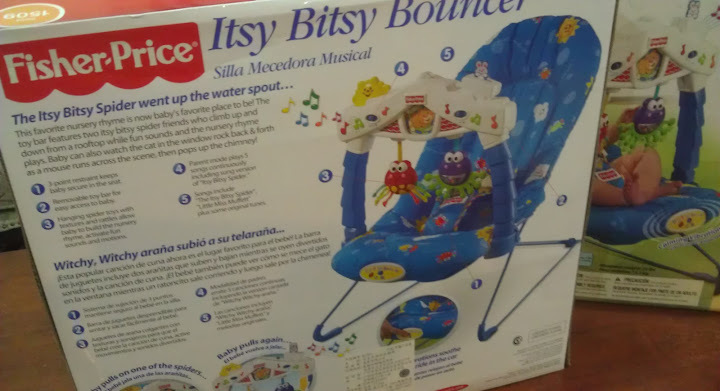 Includes music featuring the sung nursery rhyme plus 5 other great songs, fun sound effects and calming vibrations. 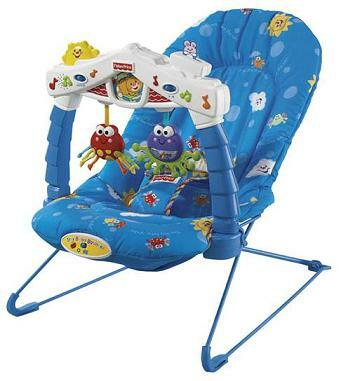 A 3 point restraint keeps baby safely in the seat.